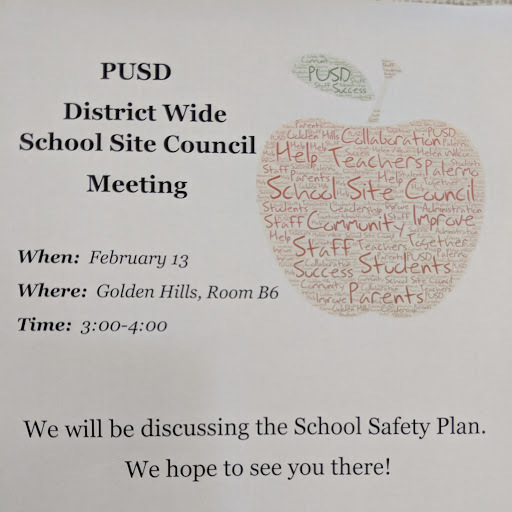 We will be having a District wide School Site Council meeting on February 13th at Golden Hills in room B6. The meeting is scheduled to start at 3:00. We hope to see you there!